The physio has said I'd probably be OK so late on Friday evening my prevarication ended. I entered on line and started packing. With force 5 to 6 forecast it was going to be Radial day. 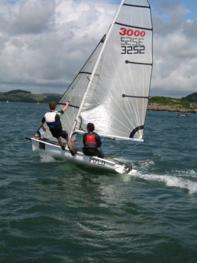 Nothing competitive, just a nice day out on the sea! Setting the alarm is the first fundamental of travelling success and my first mistake. However, a full English was essential whilst south of the border and I was lucky to make the tail end of the briefing. Great to see the usual suspects and Andrew Hewett from St Mary's who ran away with it at Tynemouth (no chance today then). Also my old GM sparring partner Neil Garrison from Bassenthwaite, absent of late on club coaching duties. After a bit of "where the hell am I" orientation, Race 1 got under way. The windward mark was planted in something of a hole. Andrew skilfully worked this to his advantage before continuing to extend the sort of unassailable lead you expect from someone with 40 years of Laser experience. At the leeward mark some heavy luffing from Neil kept me out of it and left plenty of room for Toby Hubbard and Carole Beattie, in shocking pink, to steam through into the next lap. By the windward mark Andrew and the guide boat were out of sight, leaving two Grand Masters with failing eye-sight having senior moments. Neil went left, Toby went right and I spilt the difference until the lettering became visible. 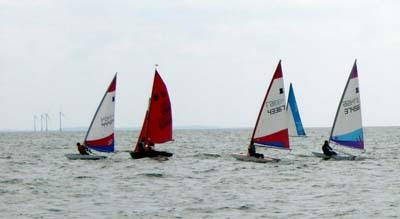 The finishing order was Andrew, Toby and Tim with Tim getting 2nd on handicap. 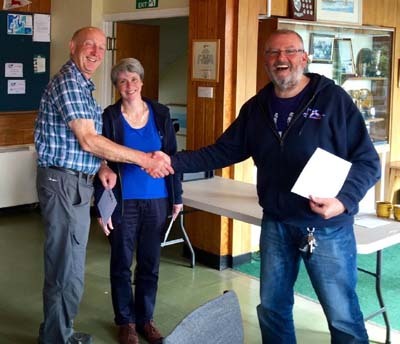 A similar story with a disappointing drop in the wind that worked in favour of Neil, the light air specialist, who went on to win and Carole who stayed ahead for longer than I might have liked. The wind dropped right off as the course was changed but then, Delight - we're going out to sea. The breeze freshened, kicking up proper waves to surf. My self-talk crossing the line was "stay in the boat." Neil hadn't overheard me and took a lengthy swim. 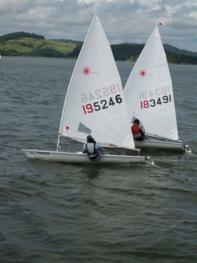 Toby was sailing well with an early lead and Andrew gradually closing him down. Finn Mitchell had been on my tail during previous races and surfed irritatingly well on lap 1 before passing me on the upwind leg. My August fitness regime of cappuccino and industrial quantities of M&Ms during night passages amongst The Western Isles started to show on the long down wind leg. 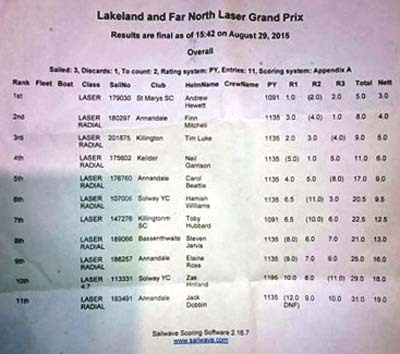 Finn continued stretching out his lead, passing Toby and surfing so well that he beat Andrew on handicap, taking his first win and questioning the assumption that "old guys rule." Meanwhile Hamish Williams from Solway and Neil were gradually closing what had been a substantial gap. 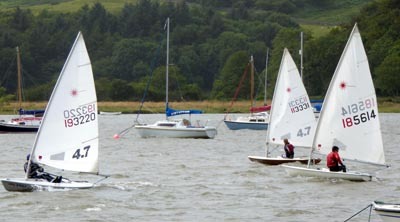 Touching the leeward mark was my final mistake leaving room for Hamish to take 3rd. Time for some physio and lots of fitness training before the next meeting. 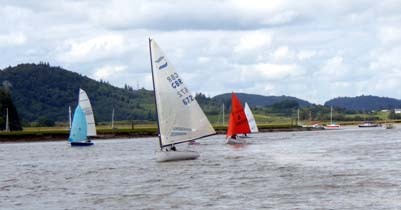 Thanks to all at Solway Sailing Club for a great day's sailing. See you next year. 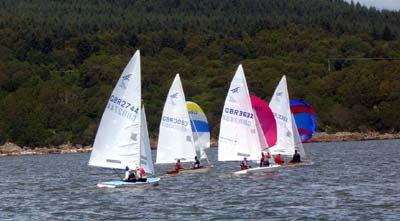 Thanks Solway for hosting todays Laser open, much appreciated - great conditions especially the big course. Here is a link to brilliant photos of the races - Click to scroll through. Photograph display by Stewart (via Facebook) - many thanks - Frank Bewley Web Sec. 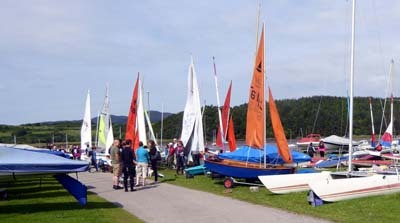 Kippford Week Day 5 - sun and wind again - Kippford weather is redeeming itself. 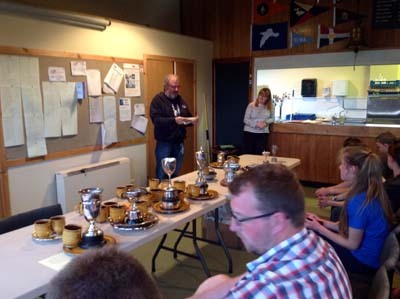 A short races due to late tide, followed by prizegiving. Photos of individual prize presentations are now available so that individuals can save a copy for their personal collection. Photographs by Duncan Gillespie - compilation by Frank Bewley. 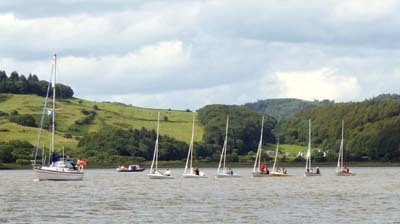 Kippford Week Day 4 - sun and wind was the order of the day - a great sail for all. 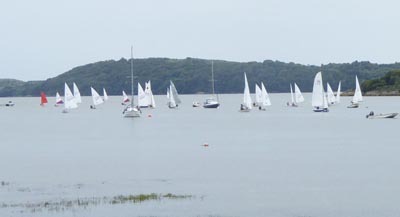 Kippford Week Day 3 - racing at last - the winds have decreased and we are away. 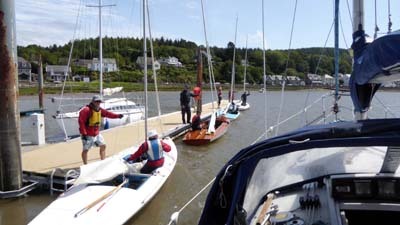 The Cruiser Fleet was started at the Club Starting Line as their committee boat Elle was unavailable due to wind damage whilst moored at the pier, during the previous night. 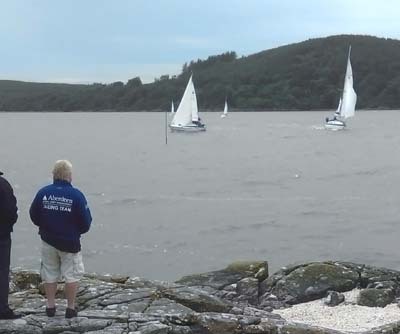 Kippford Week Day 2 - again cancelled due to high winds and swell. Rescue and Committee boats remained at the pier - lets hope for better tomorrow - over 47 years I do not recall such a need to justfiably cancel on two consecutive days. 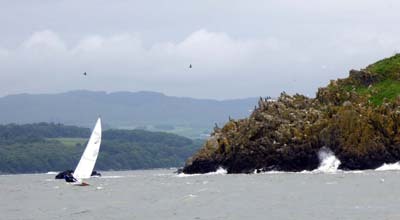 Kippford Week - Day 1 - cancelled due to strong winds and high swell. Some brave hearts went out for a thrash around the moorings. 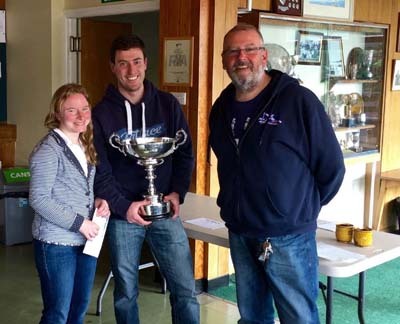 Yachts and Yachting have published our secretary Ian Purkis' excellent report on the SYC Regatta - see it here. We are delighted that our Club has been selected to host the above championship next year. A dedicated web page has been posted and is the focal point for all information about the competition, entering etc. It will regularly updated as things progress. (On the above, move your cursor to the foot of the page and various options incuding save - (floppy disc logo) print etc - will appear. Some classes have different handicaps within the class. 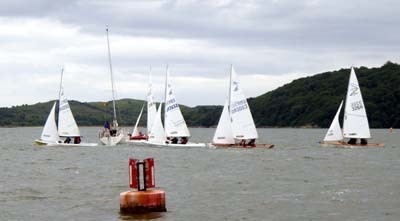 At SYC handicaps in our racing see the paper by Lindsay Tosh or Sailing Secretary this is principally Flying Fifteens and National 12s. For the latest SYC Policy on applying these dated 2nd Sept 15. Two contrasting days - Saturday very windy - Sunday a perfect day with a steady breeze and sunshine, good courses and a round of Hestan Island. List of First Aid Qualifications which are approved by RYA and therefore are acceptable are here. 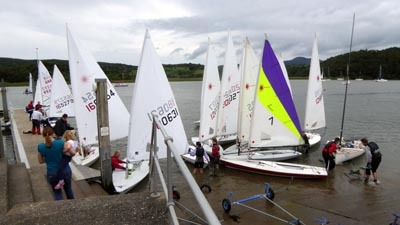 First Aid Qualifications which are NOT approved by RYA and are therefore unacceptable are here. 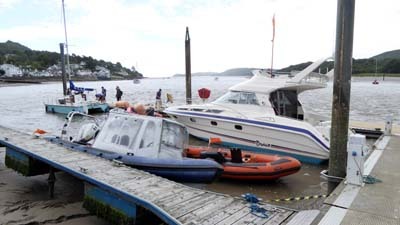 Please note that SYC only permits hire of boats when safety boat cover is in place. 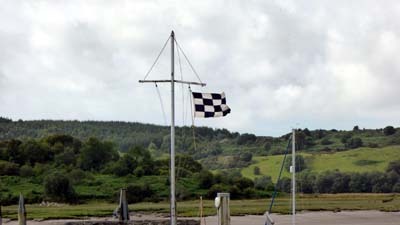 For insurance purposes the hirer must be an SYC member and known to be a competent sailor.